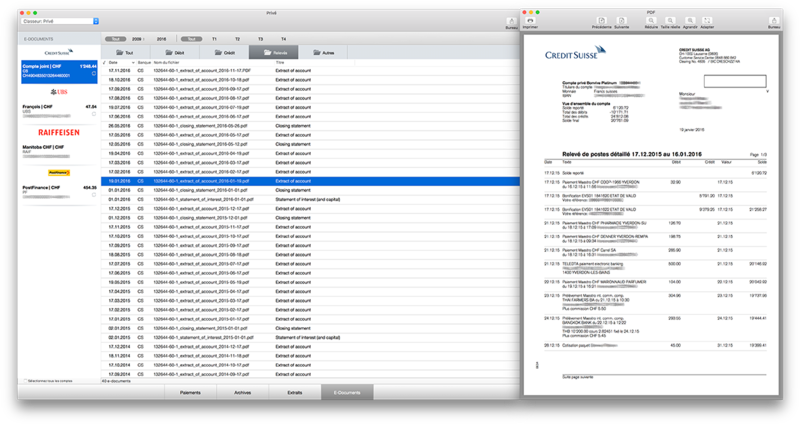 MacPay+ has been helping me with my surgery's payments for the last ten years. Direct export to our accounting program is a big time saver. It is also less error prone than a double entry. MacPay+ is a great facilitator that gives me a perfect vision of my suppliers. 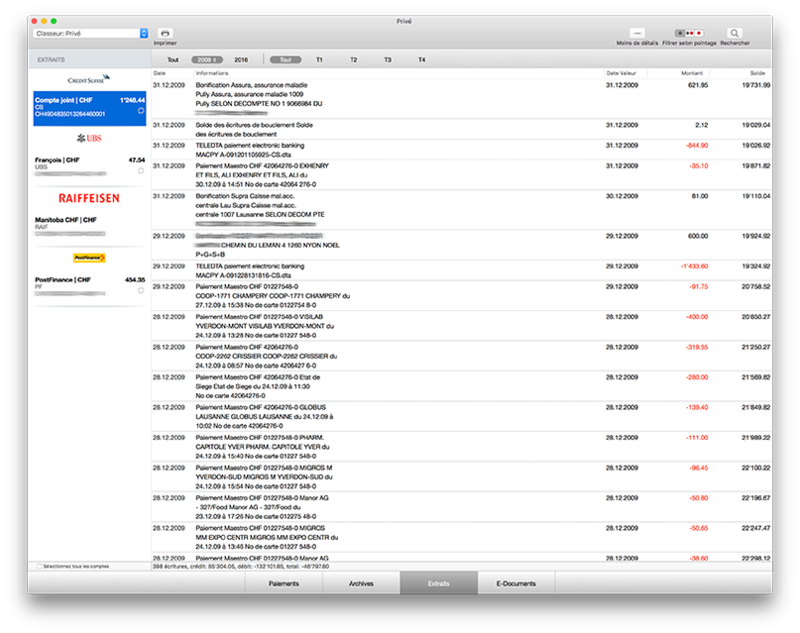 Having their bills scanned and archived one click away in MacPay+ is an incredible bonus. MacPay+ helps me daily as I take care of my elderly mother financial and medical chores on top of my own. Scanning medical bills means saving a lot of time dealing with her health insurance. What about getting yourself a new bank? Choosing MacPay+ means taking back control of your payments and of your whole banking activity. It means that you start working for yourself instead of simply filling payment forms for your bank’s benefit. It also means you own your data without any time limit. Choosing MacPay+ means a single unified interface to prepare your payments, store and archive your bills, check your balance and list all your operations. It also means you know where your e-documents are properly stored. Choosing MacPay+ means changing bank, for good! With MacPay+, you shorten your payment preparation time, lower error numbers, avoid recurring input. you plan, organise and control all your payments. All your payments are ordered as needed. Your account balances are under your eyes. Your payment is scanned and execution details are added. Your pending list with relevant sorting orders and status icons. 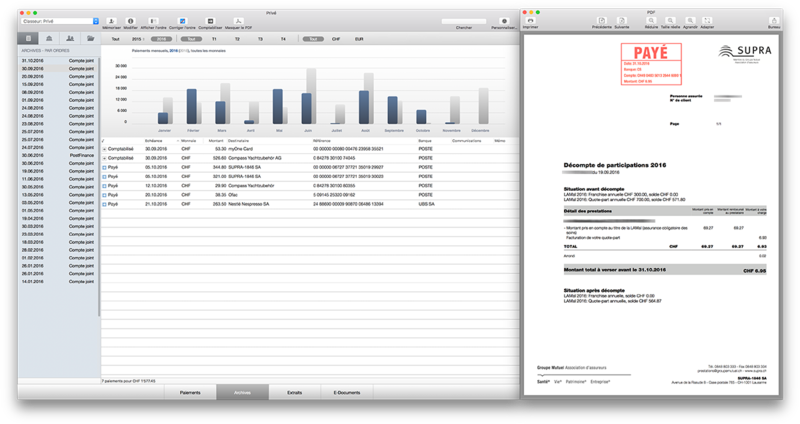 Your invoice as a PDF, ready to be exported and printed if need be. Bring your payments input up to speed! 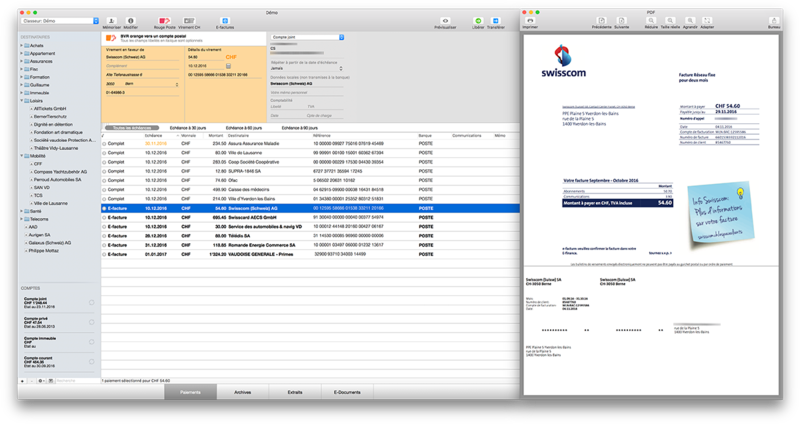 MacPay+will deal with all forms of invoices: receive them directly through the e-bills system, import any scanned PDF, even from your smartphone, your MF printer or your office network scanner. You get them by email already ? Drop them on MacPay+ for payment. With MacPay+ you can access your payment history offline quickly and easily. And without even thinking about it, you’ve already created a full archive of all your invoices. A full vision comparing two full years is provided by the chart. The list of executed payments with their accounting export status. One press of the space bar opens the corresponding invoice. The paid invoice that can be printed or exported back whenever needed or globally with the VAT return export command. MacPay+ makes it easy to go paperless! You’ll releive the environment and your wallet by stopping the paper flow from your bank. And get that shelf space back when you ditch your binders. MacPay+ makes it easy to split your finances according to your situation: business on one side, private matters on the other, you choose what suits you best. MacPay+ is e-bills enabled. If you own a PostFinance account, you can subscribe to the system and get your bills straight into your payments list. And you can pay them from any account, not just PostFinance. If your bank has a direct connexion to MacPay+, all operations booked to your account become visible in MacPay+ and are just one clic away from Excel or any compatible application. Phishing, hacking are serious matters. By keeping your online access to a minimum, you reduce risks. Offline e-banking, particularly on Macs is safe. But do keep your macOS and other software duly updates and don’t jailbreak your phone if used as a security device. Your financial data can be sotred on your disk on an internal server or a cloud based solution like DropBox. If you work both from home and your office, it helps. Your shared binders can be protected. MacPay+ can be activated on two computers. Ever wonder where your money goes ? MacPay+ will tell you. Although it might come as a shock, it will show you what you spent and where. You can freely set up some categories for your payments: health, car, housing, insurance, you decide how you run your personal budget. Find here all your credit and debit advices, your monthly or quarterly statements organized by type. You keep them in MacPay+, there are here forever and you can always print a copy. Free of charge. This is the safe paperless account. This is where you filter your accounts and display their balance. Your e-documents list. Your milage may vary according to your bank. Your e-documents, as you will find them on your bank website, but forever, not just the last 18 or so months. Thousands can testify to the quality of our support, its speed and efficiency. It is completely free to but we expect you to use email. We don’t do phone. Maximum turnover is 48 hours, but this is mostly Christmas average. Normally it is less than a day. You also need accounting ? Then you will really improve your free time: your executed payments can be exported to your accounting software, even automatically to MacCompta Pro. If you fill VAT return forms, you can export all the necessary documents: invoices, account statements, etc. for each quarter. And if you need something in between a quick Excel export job will usually do the trick! MacPay+ has been developed and maintained by the same team for the last 10 years. Updates are frequent and we always support the latest macOS version available from Apple. We also follow closely the changes happening with our partner banks. ISO 20022 is all the rage now and will be available for MacPay+ soon. And free.